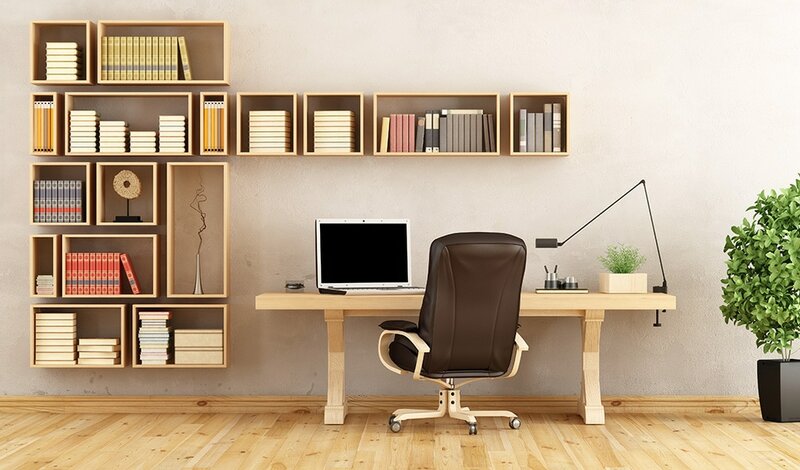 Today we will show you a few tips and tricks to improve your own office at home easily. You normally find director’s chairs only on movie sets in Holywood. But those chairs are not only comfortable but they also look unique in a home setting. If you are not sold just yet: they are only around 30 bugs. Many desks are oriented towards a wall, but starring at a simple wall is not fun at all. What about some personal posters to improve the colors and fell of your room?! 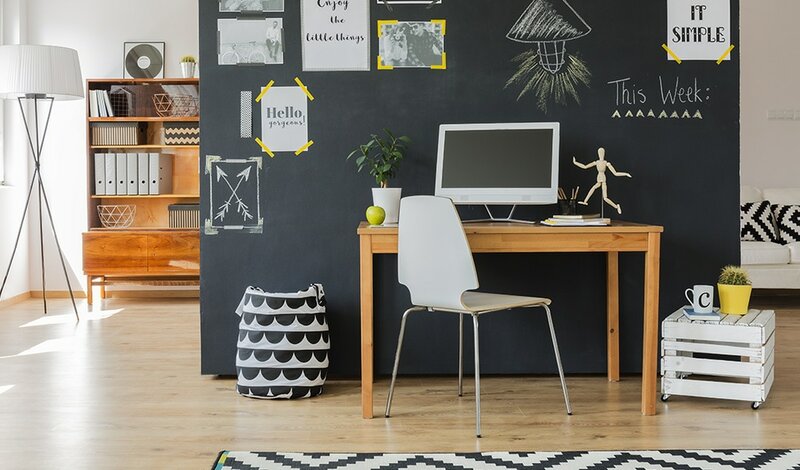 If you loved sketching with chalk as a child or never have enough space for your notes, a chalkboard wall is perfect for you. It not only looks pretty cool but a chalkboard wall will help you to remind things easily. Another added bonus: you can sketch anything you want and remove later easily. Working at home can be stressful enough. 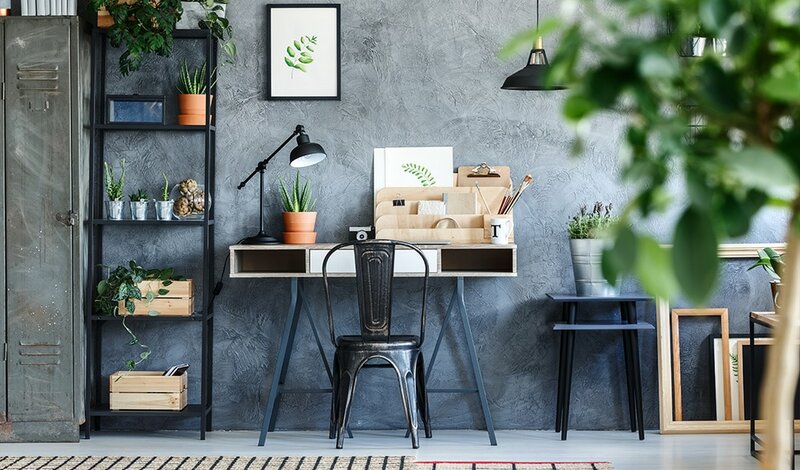 Boost your mood by adding plants to your office space, they will also improve the air! Neary everybody uses a simple table lamp to improve light on the desk. But you can achieve the same result by using a floor lamp. It will look cool and doesn’t take up any space on the desk. 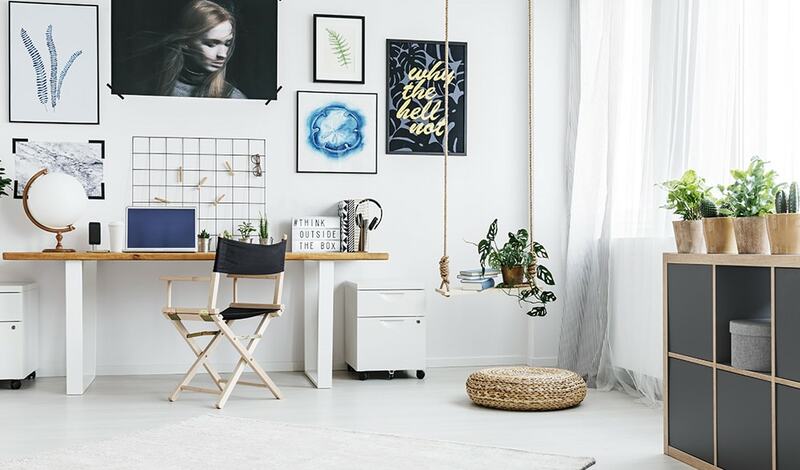 Still looking for a place to work at home? If you have ever studied in an university you know that it’s not about the size of the working space, its all about the environment. 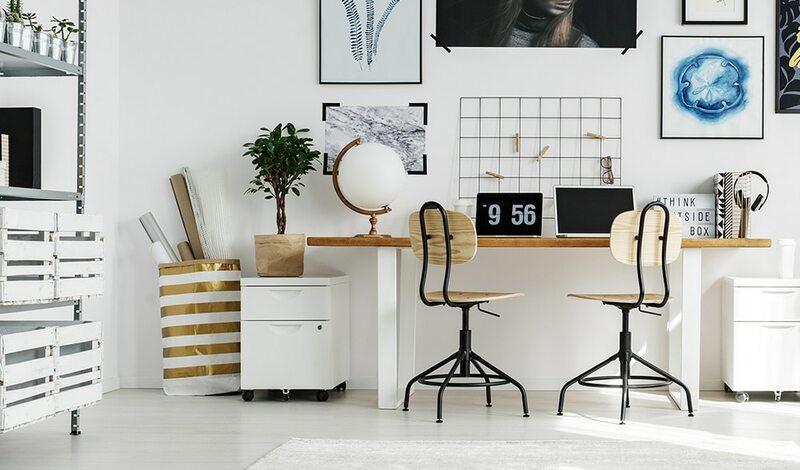 Look for a small corner in your home to place your desk and start working! If you are not the creative type you will find a white-wood combination very helpful. It will look clean and friendly. You can buy white or wood objects nearly everywhere. Just walk into the next interior shop. 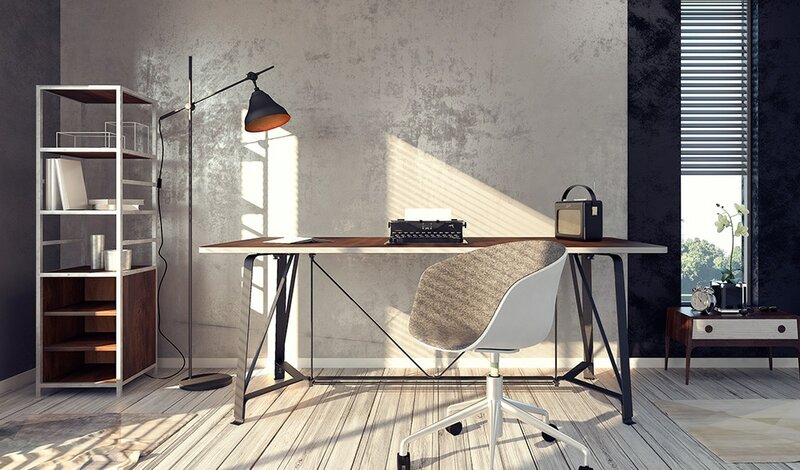 Use industrial element in your home to create a unique look. 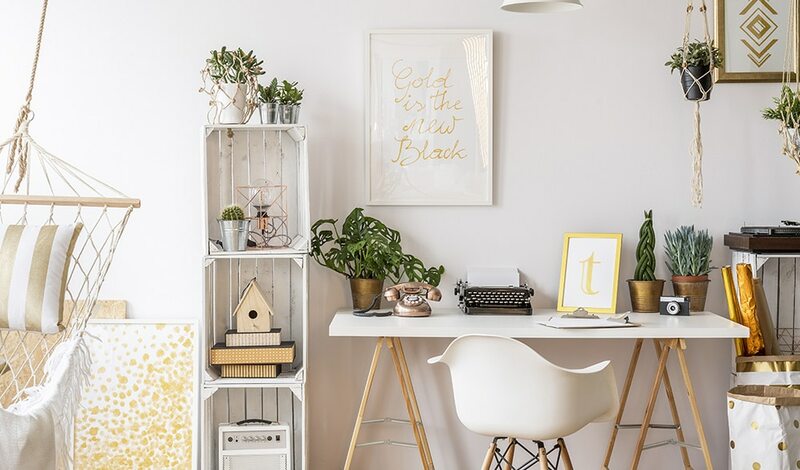 For example, use a metal framed shelf to store your stuff or a metal grid to hang up your notes. As an added bonus: most of the industrial elements are designed for more wear and tear than regular interior elements. For some people there can never be enough wood. 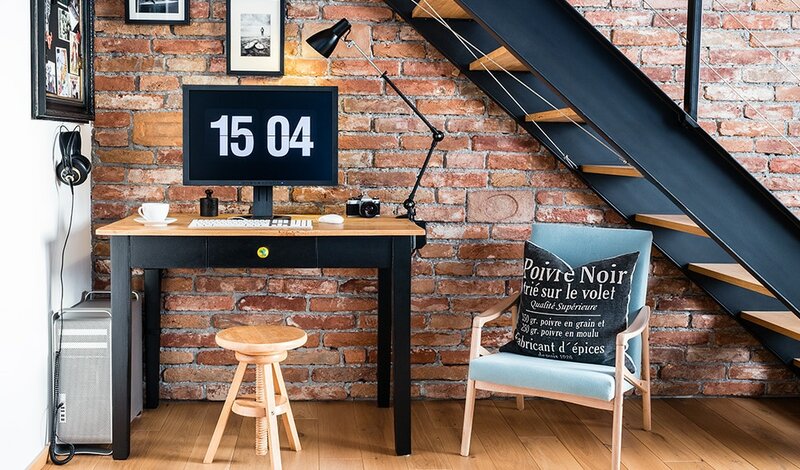 How about a complete office setup made out of wood. Get a wood table, wood chair, wood shelves and look for some wood accessories like a lamp.